SEATTLE — British actress Gugu Mbatha-Raw is best known for her roles in Belle, Beyond the Lights, the Disney live-action film Beauty and the Beast and A Wrinkle in Time. When she’s not acting, she is working with different organizations to bring about change for ongoing global issues. This includes working with the U.N. 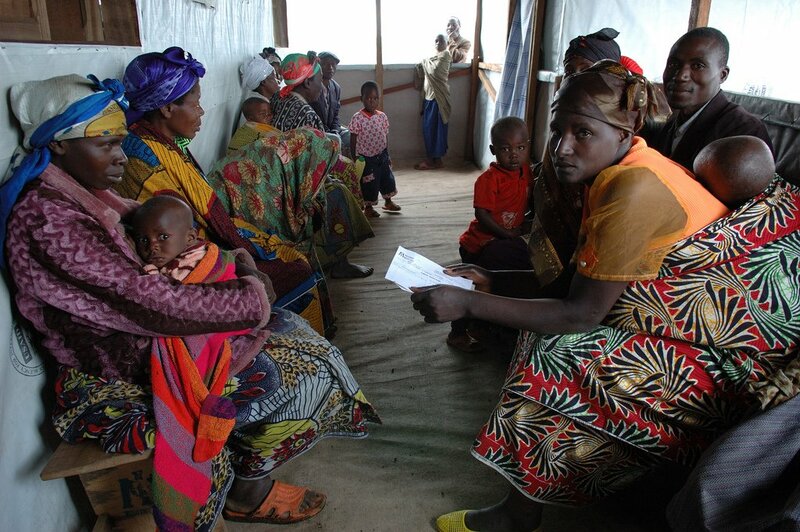 Refugee Agency (UNHCR) to aid Rwanda refugees. In August 2018, Mbatha-Raw had the opportunity to visit refugees in Rwanda in both the Mahama and Gihembe refugee camps. Rwanda, situated in east-central Africa, has been currently supporting more than 150,000 refugees and asylum seekers, hosting those who have fled from Burundi and the Democratic Republic of the Congo. These refugees have been working and involved in communities as well as national health and education systems while the Rwandan government continues to aid these refugees. Mbatha-Raw visits refugees in Rwanda in order to support UNHCR, continuing to aid and protect them as well as the projects they endorse in the country. “It has been eye-opening to meet the refugees who have fled unimaginable violence and suffering,” she told UNHCR, “and to hear their stories.” She met Rehema, a woman arriving from Burundi who fled after her husband was killed, carrying an unborn child and her 2-year-old daughter. Mbatha-Raw was amazed by how UNHCR assisted Rehema and got her settled, and was impressed by the team’s effort to make sure they gave Rehema what she needed, as her child was about to be born. Mbatha-Raw also supports UNHCR’s initiative of MADE51, existing for the purpose of providing income, opportunity, craftsmanship, heritage, participation and economic inclusion for refugees. People like the Burundian refugee women Mbatha-Raw visited are able to tell their stories through their work and skills, selling their artisanal products to the international market. As she met with many of these talented women while they created these products, she could not help but feel inspired by them, as she realized the importance of MADE51 in creating a community and a healing environment as hope is conveyed throughout. UNHCR continues to provide protection and support for refugee camps. While Mbatha-Raw visits refugees in Rwanda, her experiences, presence and overall help to encourage further assistance regarding these camps bring focus to the refugee crises in Burundi and the Democratic Republic of the Congo, which are unfortunately the least funded and aided in the world. As Mbatha-Raw visits refugees in Rwanda, other organizations are continuing to provide assistance and support to camps. According to the World Food Programme (WFP), Rwandan refugees have limited access to food. Because of this, WFP provides in-kind or cash-based food assistance monthly, increasing food access to camps and Rwandan returnees. World Vision is providing water and sanitation to refugees in Rwanda to ensure that each individual living within these camps has access to clean water every day. It also works to promote hygiene practices among refugees as they construct clean toilets, hand washing facilities and showers for them to use. Gugu Mbatha-Raw’s support for refugees in Rwanda draws increasing attention to not only the refugee crises, but to UNHCR as well as other organizations working to protect the many men, women and children living in these camps. Despite her fame and success in Hollywood, she still has the ability and time to support all those in need of assistance.